This webpage is under construction and clearly not up to date. A new systems, control and applied analysis page will be launched soon. Our research group, within the Department of Mathematics, is part of the Johann Bernoulli Institute for Mathematics and Computer Science (JBI) of the University of Groningen, the Netherlands. 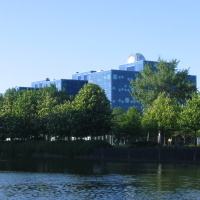 The group is a member of Dutch Institute of Systems and Control as well as Jan C. Willems Center for Systems and Control. On November 24, the board of directors of the professional organization IEEE (the Institute of Electrical and Electronics Engineers), has elevated Prof. Harry Trentelman to the grade of IEEE Fellow, for his contributions in the field of Systems and Control, with the citation "for contributions to geometric theory of linear systems and behavioral models". This title is recognized by the technical community as an important and prestigious honor and achievement.